The Point – Almost there. 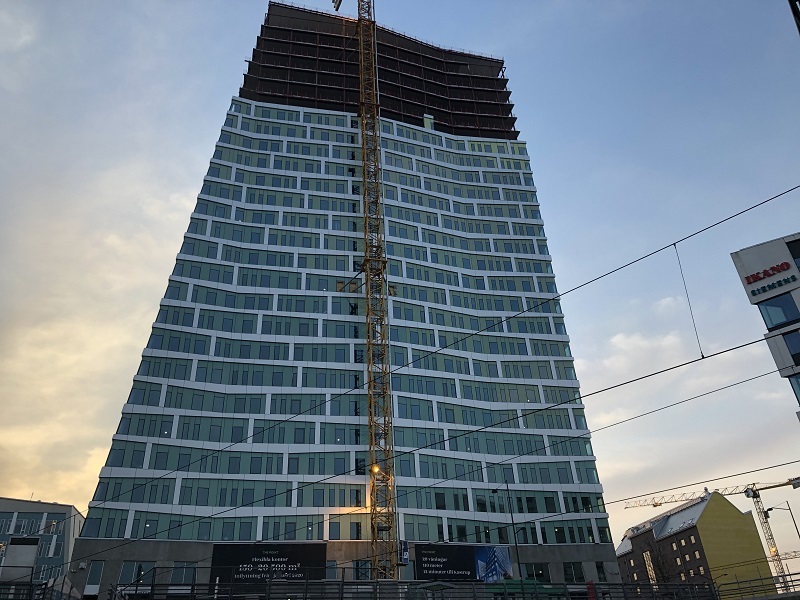 The Point, the second highest building in Malmö and fifth highest in Sweden is almost finished. It seems to have a perfect position in terms of connections to Malmö city, Copenhagen city and the rest of the World. The Hyllie area in Malmö city, southern part of Sweden has experienced fast growth during some last years. Building up is still a very intensive process. We can notice that this part of the city is becoming a new popular area. The Point, the second highest building in Malmö and fifth highest in Sweden is almost finished. With its 29 floors this interesting building will not beat Turning Torso, but they will together be Malmö’s two highest points. The Point, the second highest building in Malmö and fifth highest in Sweden will have 29 floors and it will be 110 meters high. The Point will have 29 floors and it will be 110 meters high. (Turning Torso is 190 meters high and has 54 floors. ) There will be flexible alternatives for offices which means that your business can get its own are right in there. Also around 300 – 320 residential units will be there. Trains to Malmö city and Copenhagen city in Denmark are in the tunnel right below the building. And if you also are in need of flying, the Copenhagen airport Kastrup is only 12 minutes away. So The Point seems to have a perfect position in terms of connections to Malmö city, Copenhagen city and the rest of the World. Hopefully The Point will help Hyllie as a part of Malmö to develop in right direction. Since we can see parts of the city that remind us of ghettos, there is a risk that also Hyllie becomes similar. So if it goes well and if The Point creates a positive development then Sweden has succeded.